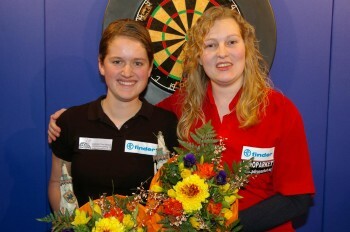 Aileen der Graaf started to play darts in 2007 and from 2010 played ranking tournaments of the NBD. She is member of the Dutch national team. Since 2012 she plays the BDO/WDF circuit and already won a lot of tournaments or at least reached the later rounds. De Graaf qualified for the BDO World Champiosnhip 2014 but lost first round against the later champion Lisa Ashton. Aileen de Graaf works as a trained carer in a care home.